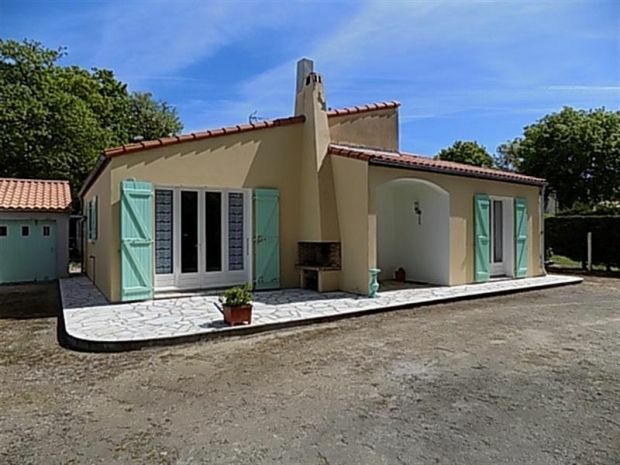 On the ' Côte de Beauté' road, detached bungalow of 71m². Located just 400m from Nauzan beach and 600m from shops. With: Living room with TV and fireplace opening out to the garden. Kitchen with gas hob, microwave, fridge with freezer compartment. Bedroom 1: Double bed of 140. Bedroom 2: Large double bed of 160 and cupboard. Bathroom. WC. Garage/Laundry room. Shower room and WC. Washing machine. OFF ROAD PARKING - BBQ - GARDEN FURNITURE - SLEEPS 4.